course structure with a focus on research its very good and nice and very easy to understand becouse teachers teaching was extremely goood. If i am not understand then i ask to a thecher please repeat once again i theacher must helping nature Nice experience. College Management is very friendly. overall it's very learning time of my life. All professor have supported very good. I want to go again in this kind of college. Such a nice college. 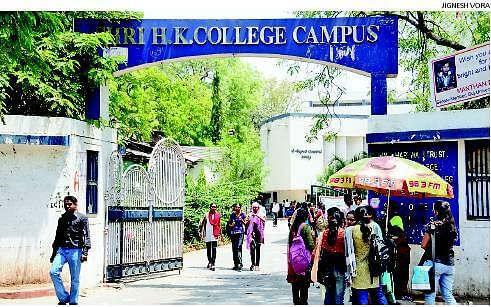 Shri HK Arts College is managed by 155 years old Gujarat Vidyasabha, Brahmchari Wadi Trust. 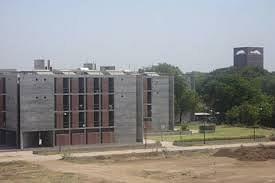 The college is affiliate to Gujarat University - [GU], Ahmedabad. The college has 14 departments. The motive of this college is development of Gujarat language and literature. Considering Libraries to be basic education and culture it took on the work of translating important books from all disciplines in to Gujarati. This institution has published more than a thousand books. The college offers under graduate, post graduate, diploma & certificate programmes. The college organized many events like Orientation, Youth Festival & Drama etc. The college has good infrastructure & well equipped library. "Worth Learning from this college"
B. A. passed with First class in all sem. Economics was a challenging subject to me specially Law of demand & supply rule. Eden it has been covered environmental subject also to become a environmental friendly human being.